Ghana is one of the world’s largest exporters of gold and cocoa. The area was originally inhabited by the Akan people, who traded in the plentiful gold. It became part of the Ashanti Empire, and in the 19th century the Portguese, Dutch, Spanish and British had built forts there. It was known as ‘White Man’s Grave’ though due to all the tropical diseases, which put a lot of the invaders off. But not the Brits, oh no. We captured it in 1856 and named it the Gold Coast. The Akan fought us a lot until they were defeated in the War of the Golden Stool (best war name ever, I think you’ll agree; it refers to the Ashanti throne). They did not give up, and gained independence in 1957. Sir Seretse Khama Day: Sir Seretsa Khama was born in Bechuanaland, Botswana, and became the king of the Bamangwato people from age 4 after his father’s death. He studied at Balliol College, Oxford, and studied to become a barrister at the Inner Temple. He met and married Ruth Williams. South Africa did not like the king of the country next door being married to a white lady seeing as it had just banned interracial marriages. To get some peace and quiet, as Britain was in charge of Bechuanaland, they investigated Khama’s ability to be a chief. The report found he would be a good chief, so the Brits hid the report and exiled him anyway. Khama was eventually allowed back once he renounced his throne… then he ran for President. And won. In 1966 Botswana gained its independence and Khama was a very good President, focusing on economic development through beef, diamonds and copper, and remaining anti-corruption and anti-violence. The Islands were first inhabited by the Arawak, Carib and Cermic peoples, all of whom died from European disease, brutal slavery or mass suicide. So instead the Danish plantation owners used slave labour on them to make sugarcane until slavery was abolished in 1848. During WWI America worried Germany might sneak in and use them as a submarine base and so bought them from Denmark for $25 million. The islands get a lot of earthquakes and tropical cyclones. Activites: Listen to scratch bands and quelbe music, the cariso folk song, or St Thomas’ bamboula. Burundi was its own kingdom ruled by a Tutsi king until 1899 when it became part of German East Africa. Its king, Mwezi IV Gisabo, opposed this so the Germans helped his son Maconco lead a revolt against him; then Mwezi said ok, I’ll be part of Germany, so the Germans helped him defeat his son. Sorted. From 1916, Belgium conquered the area and it was joined with Rwanda under Belgium and called Rwanda-Urundi. On 1 July 1962 Burundi gained independence after Belgium allowed it to run its own democracy. At that point the Tutsi king became head of state of a government made up of Tutsis and Hutus in equal numbers. In 1965 the Hutu prime minister was assassinated, and next door in Rwanda, a ‘social revolution’ in 1959-61 saw their Hutu government massacre all the Rwandan Tutsis they could find. This prompted the Tutsi monarchy in Burundi to disallow Hutu members of parliament, so the Hutus tried to carry out a coup, so the Tutsis killed a whole bunch of Hutu politicians and intellectuals. These back and forth killings and oppression continued until 1972, when bands of Hutus killed all the Tutsi civilians they could find and proclaimed a republic. Then the President and his army killed around 250,000 Hutus. From then until 2006 the Tutsis and Hutus continued to assassinate each other at every opportunity and HIV has killed off a lot more. Burundi is one of the five poorest countries in the world. Activities: Watch the Royal Drummers of Burundi perform. Go on a (pretend) gorilla trek – maybe take turns at being a gorilla hiding in the mountains (upstairs). Canada Day: This is a celebration of the Brits uniting their colonies Nova Scotia, New Brunswick and the Province of Canada together to become Canada in 1867. There is a Canada Day held in Trafalgar Square, London. Activities: Play street hockey. Eat pancakes with maple syrup. Learn about Niagara Falls and moose and beavers and Canadian geese and mounted police officers. Similar to Burundi, Tutsi kings dominated until the Germans colonised the area in 1884, then Belgium from 1916. Aside from the Tutsis and Hutus, there are also a group of aboriginal pygmy hunters called the Twa. The Tutsis and the Hutus were more like social castes, with the Tutsis the kings and the Hutus the lower classes, and well-behaved Hutus could become Tutsis. However, Belgium thought they were different races and introduced identity cards labelling the Tutsis, Hutus, Twas or Naturalised (the latter for Belgian settlers?) and no one could move ranks anymore. In 1959 the Rwandan Social Revolution occurred, in which the Hutus started killing the Tutsis. And vice versa and back and forth and so on until 1990 (by which point the Twas had been forced out of their forests and had mainly become beggars) when the Rwandan Patriotic Front (Tutsis) invaded and initiated the Rwandan Civil War. At some point there must have been a ceasefire because the ceasefire ended in 1994, when the President’s plane was shot down and the Rwandan Genocide began – up to a million Tutsis, Hutus and even Twas were killed by the government. The RPF fought back and eventually regained control of the country. 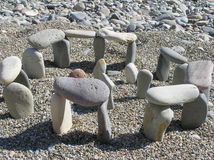 Activities: Watch an umushagiriro, or cow dance, or the intore, or dance of heroes. Learn about an imigongo, a cow dung art. Can you make a nyakatsi house for your doll, with mud walls and a grass thatched roof? Science: It’s going to be the usual demonstration with the Earth as a tennis ball or marble and the Sun as a football or gym ball. You know the drill. The sun is at its most northern point from the equator. The most northern parts of the earth have their longest day – in the Arctic the sun never sets; the southernmost parts have their longest night – in the Antarctic the sun never appears. 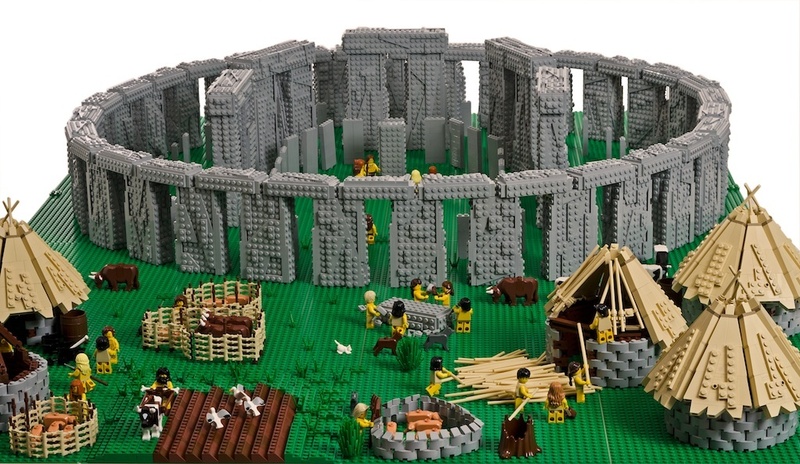 Activities: Build a Stonehenge (or just visit it, if you’re near). Native Americans put teepees in a circle to symbolise the cosmos on the solstice – that might be fun too if you have a lot of spare bedsheets. In Northern Europe, the Solstice is a big deal and a good excuse for a party. gathering herbs because they are especially potent. in Jersey they banged a brass pan to ward off evil, and we all know a tiny bairn who would enjoy doing that. balancing an egg at the exact moment of the solstice … oh, there are lots more ideas here and here. Greenland was so named by Erik the Red, a Norwegian exiled from Iceland, who hoped the name would attract other settlers and he wouldn’t be so lonely. Actual Greenlanders call their country Kalaallit Nunaat, meaning land of the Kalaallit people. At first Greenland was inhabited by stone-age Eskimos in 2,500 B.C. 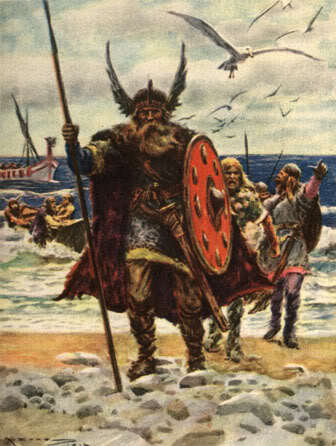 In 986 Erik the Red arrived with other settlers. These Norwegians accepted Danish rule when Norway and Denmark formed the Kalmar Union. It was a hard place to live – very cold! From 1300 Thule people arrived from Alaska, bring dog sleds and whale harpoons. In WWII Denmark was taken over by Nazi Germany, and America occupied Greenland to protect it. In the 1950s America built a big army base there as part of the Cold War defence. In 2009 Greenland gained self-rule, while Denmark controls its foreign affairs and defence. Denmark also pays them 3.2 billion kroner a year for welfare and investment. Greenland’s Inuit people catch around 175 whales a year. It has polar bears, Arctic foxes and hares, and seals. There are only about 56,000 humans, and as Greenland is the world’s biggest island it is also the least densely populated country in the world. Greenland’s traditional sport is Arctic Sports, a kind of wrestling; they also love handball. The French West Indies/Antilles honour the French abolitionist Victor Schoelcher’s achievements in helping end slavery with a sailboat race, fireworks, music, etc. Togo Day of the Martyrs: Togo gained independence from France in 1960. They have mainly animistic beliefs, carve beautiful statuettes (Google Ewe or ibeji) and make beautiful batiks, which could be fun to do. In antiquity Somalia might have been the fabled Land of Punt, an exporter of valuable goods that traded with ancient Egypt. In the late 19th century Britain and Italy owned parts of ‘Somaliland’. From 1941 it was run by the British military, then it gained its independence in 1960. From 1969 it became the Somali Democratic Republic (a Communist state) but since the outbreak of the Somali Civil War in 1990 there has been no central government control over the country. It is the world’s major exporter of frankincense and myrrh. Activities: The Las Gaal Cultural Complex has beautiful cave paintings. Its early civilisation used a writing system that is still undecoded. Play at being a port exporting valuable goods, with haggling, lost ships and pirates. Ancient Somalis were the guys who domesticated the camel. Wrap scarves around your heads, build a portable den, and play at being nomads. Mum – you know you’re the camel. Write in code. Make your own incense. 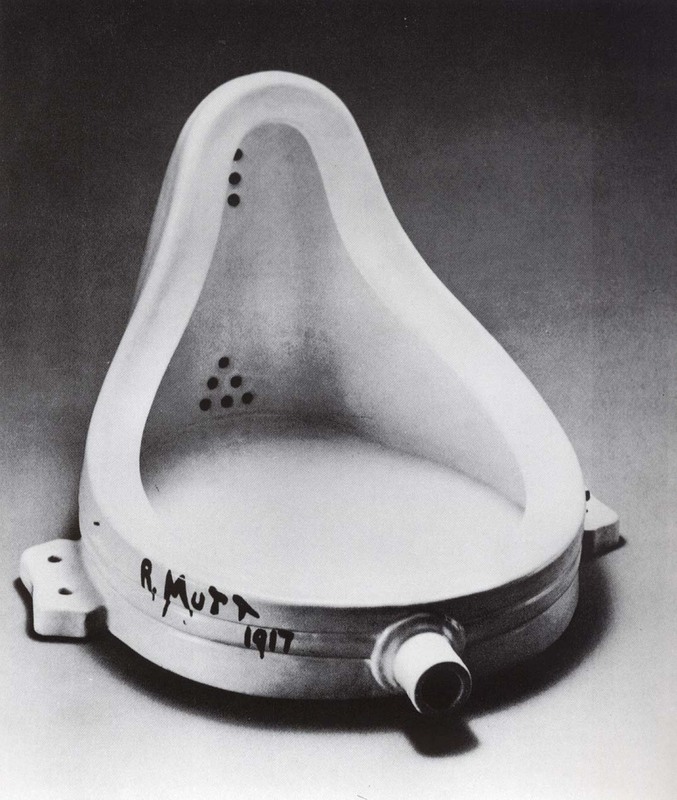 1887 Marcel Duchamp born – do your kids think this is art? St Marinus founded San Marino when he built a church and monastery on Mount Titano, a secluded Alpine peak, in 301 A.D. When Italy was being unified, San Marino protected those that were pro-unification, and this meant that Garibaldi let San Marino off the hook when it came to being part of Italy. San Marino made Abraham Lincoln one of its honorary citizens for trying to build a similar republic. During WWI it remained neutral, which annoyed Italy so it cut its telephone lines. WWII it was neutral again. In 1923-45 it was ruled by a fascist party; in 1945-57 it had the world’s first democratically elected Communist party. It has no national debt, and makes a lot of income selling its own coins, its own Euros, and its own stamps to collectors. Their most famous dessert is the Torta de Tre Monti. 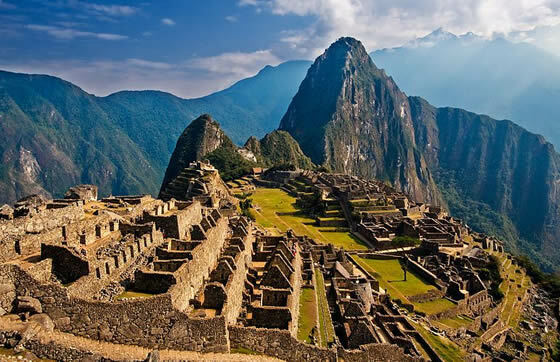 Peru was home to the Norte Chico civilisation 3,000 years ago, the oldest civilisation in the Americas and one of only six known ancient civilisations in the world. In the 15th century the Incas flourished, but in 1532 king Atahualpa was captured by Spanish conquistadors. Its silver resources and native slave labour made it valuable. After it gained independence in 1821, it managed to find income through exporting guano (bird or bat poo). Peru was defeated by Chile in the 1879-83 War of the Pacific (also involving Bolivia, over resources and land). Now it has problems with debt, drug-trafficking, inflation, human rights issues, corruption and all that. Here is a nice site on the Incas for kids, and there are lots of crafts: make Peruvian beads, make a llama felt bag, try some weaving, metal tooling using disposable tinfoil containers.